Check out our team’s picks for the month of April, from the utterly important to the fun distractions. This interactive infographic does a great job of explaining something we all think we know—recycling. What happens after we toss our recyclables into their designated bins? This deep dive into the various kinds of plastics and how they’re recycled is eye-opening. From a design perspective, it’s nicely done: it’s clear and easy to follow and has some movement to keep the reader engaged. Originated by author, lawyer, and MacArthur Fellow Bryan Stevenson, the National Memorial for Peace and Justice just opened in late-April in Montgomery, Alabama. The institution recognizes and honors the legacy of black people who were killed as the result of racially motivated lynchings in various American counties. It also recognizes the contemporary struggles of people of color. The memorial now features a museum as well. The Legacy Museum: From Enslavement to Mass Incarceration is home to archival information about lynching and the slave trade and more. 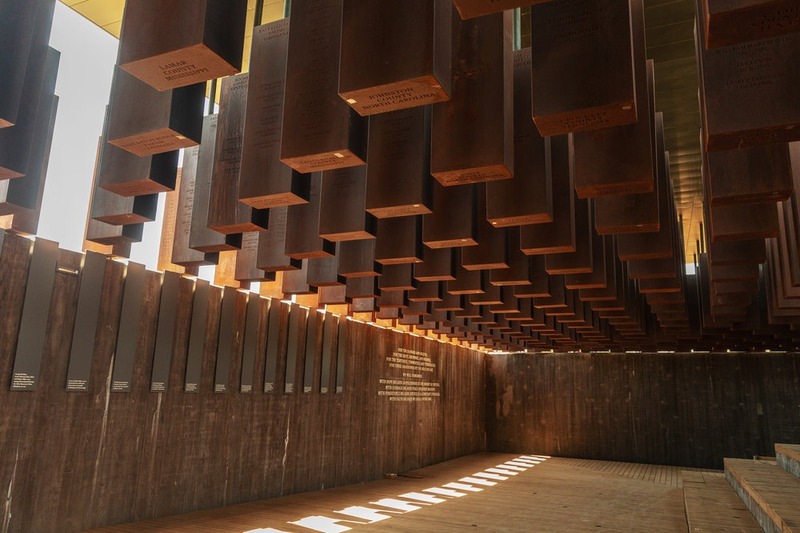 The exhibit features works by various artists, including a display of some 800 rectangular, coffin-like, steel monuments, suspended from the ceiling, representing hanging bodies of lynched victims. While the online aspect does a great job of capturing some of the memorial and the story and research behind it, the recognition is worth a trip to Montgomery for all of us. Bill Hader stars as a military veteran turned hitman looking for some meaning in his life when he stumbles into an acting class in Los Angeles. He’s terrible on stage, but once bitten by the bug he has to manage the conflicts between his newfound passion, a love interest, and his violent day job. Hader turns Barry into a real person whose difficulties assimilating to new situations are instantly relatable. Henry Winkler as the acting coach has his juiciest role in years, making a second-rate thespian’s megalomania hilarious and endearing. I’m on episode four, and the plot is already getting thicker, while the laughs continue to bounce between satire and the macabre.